15 to 18 year olds. In the intimate environment of our Studio Theatre we invite you to view our presentation of the Scottish play. 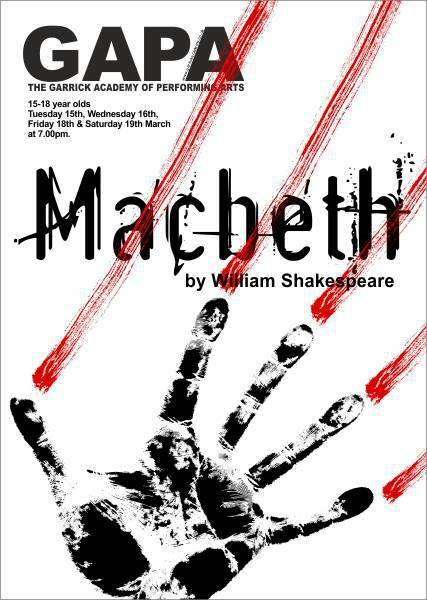 A classic tale of greed and betrayal as the malleable Macbeth is mesmerised by the predictions of the Weird Sisters and seccumbs to his manipulative mistress who convinces him to seek the throne by foul means.